Maximo Nivel and its affiliates proudly work with governments, foreign ministries, armed forces, and security agencies around the world. We offer special discounts on government contracts for Spanish language immersion programs and cross-cultural training. Maximo Nivel provides intensive Spanish Immersion Programs customized to the unique learning needs of each person. Spanish immersion courses are available in 2-hour, 4-hour, 6-hour, and 8-hour per day formats. All programs use the communicative approach to language learning and focus on oral communication and fluency as the primary goals. Spanish programs cover all levels—from zero beginners to advanced learners. 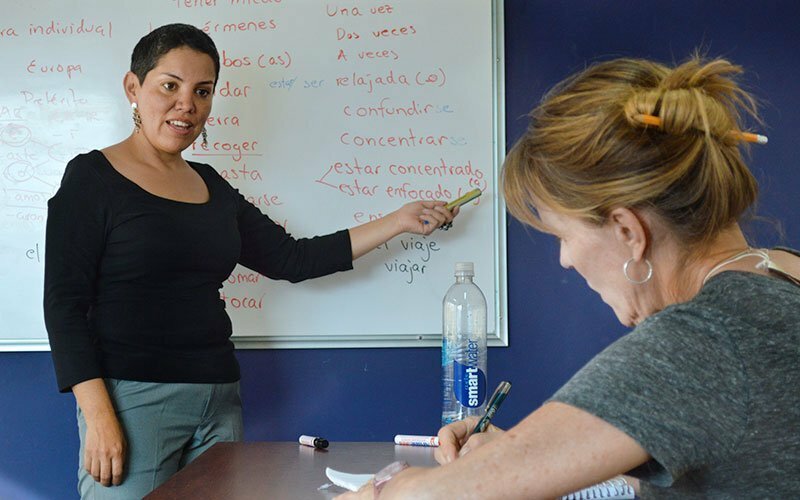 Specialized Spanish language courses are also available to help maintain and enhance your current language skills. At Maximo Nivel, total language immersion is the goal of all Spanish programs. Move forward — contact us — to learn more about our language training services and specialized government programs at Maximo Nivel.